As you know, FINA held a massive World Water Polo Conference in Budapest three weeks ago. In case you didn't have the chance to follow the event, the main conclusion was that water polo has to modernize - rapidly. The game has to become faster and more understandable to the audience. New marketing and communication activities must aim to popularize the sport itself, especially introducing the game to children. All participants attending the conference commented enthusiastically that the time for change has finally come. But the community's experience of the past ten years (except for Habawaba in regards to bringing water polo closer to children) justifies our doubts whether real change in those areas is going to happen. We have two fundamental reasons for our skepticism this time around. Two excellent professionals from the field of branding and digital communications spoke at the conference. Since this is also our area of expertise, we can claim that their presentations were basically an introduction to branding and social media. We were slightly disappointed at how many key officials were amazed by conclusions that should have been reached back in 2008. At the moment of publishing this survey’s results, we still haven’t found any answers regarding specific timelines for tangible actions to popularize water polo through means of marketing and communications. What kind of research was conducted that lead to these conclusions? How will the posited goals’ accomplishment be measured? What is the deadline for the special commission’s formation? Who are the responsible individuals and what are their specific tasks as members of the commission? 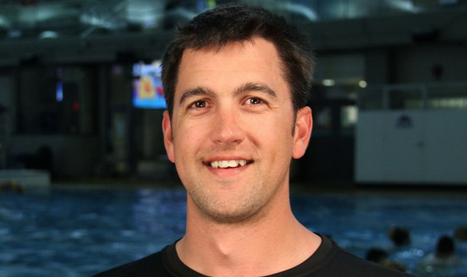 On the players’ side, Aaron Feltham (CAN), member of the FINA Athletes Committee, was visibly optimistic concerning the outcome of the Conference: “It was very positive that athletes were deeply involved in the discussions taking place here. We were very happy to see how sincere was the interest of the water polo community in this initiative. So, don’t doubt: if you need us in the future, don’t hesitate, call us! Olympic gold medalist, World and European Champion, Runner up in Total player 2017. In fact, we got 80 active athletes that have won a medal on big international competitions who completed our survey and only one of them was asked for an opinion. That's ONE (1) deeply involved athlete we were able to find. If even world championship medalists are not taken into consideration, what is in fact the criteria for involvement? Who are the athletes that were contacted? When we confront these facts with Aaron's statement we face major trust issues regarding all the other promises made at the FINA conference. Add the bad experiences in decision making and implementation of change from the past to the mix and it quickly becomes clear why we don't believe that things are truly going to move forward following the conference in Budapest. What do the players really think? 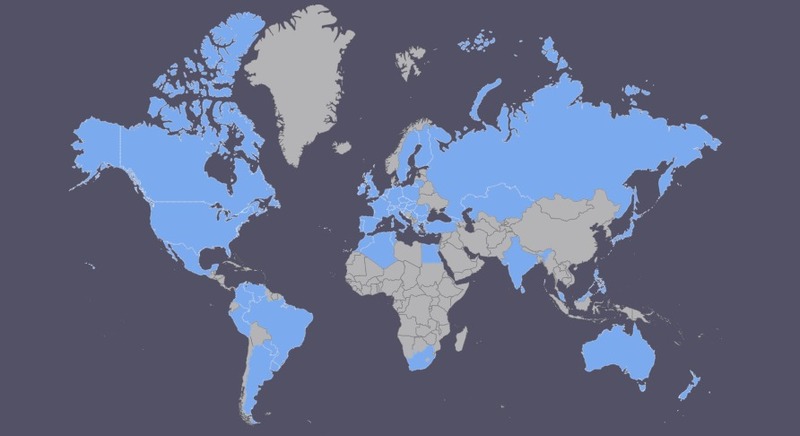 These are just a few examples of the 761 players from 58 countries who completed our survey - 468 of them are Active players, and 80 of them won a medal on the Olympic games, World Championship or Continental level competition. 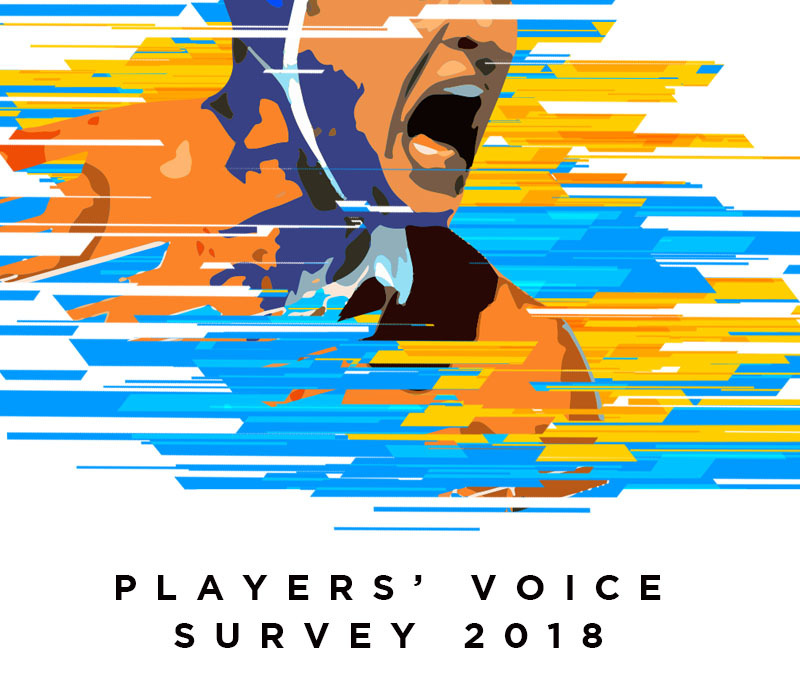 The purpose of our survey was to finally make the player's voice heard. We wanted to learn your thoughts about the direction that water polo should be taking and your opinion on the newly suggested rule changes. We require larger investments in marketing activities and need to better communicate the game itself to the audience (no matter the rules). Water polo is already physically demanding enough - why make it even more difficult by decreasing the game rosters and break periods? You can find an extensive report with the detailed survey results at the end of this article. The whole water polo community agrees that marketing and communication efforts are required to popularize the sport on a global scale. The question remains whether the responsible organizations have the will and (more importantly) the skills to make it happen. Luckily, this survey indicated that there is an honest wish within the active water polo community to move things forward, and the digital tools of our time enable every single one of us to contribute. With no intention of neither obstructing nor diminishing the governing associations' work on this matter, we at Total Waterpolo will be launching a number of actionable steps that every willing supporter of the sport will be able to take. We will all be able to put in some time to make tangible steps forward in the popularization and development of our beautiful sport. Next Sunday, 20.05.2018, we will publish a specific action plan in the segments of water polo development, on which we can all have an impact. Don't forget to share these insights with your friends and teammates and to follow us on our social media channels to keep up with the latest developments and become part of the discussion. What is your current status as water polo player? Are you a professional player (Do you get paid)? Have you ever won a medal at a major CLUB competition? Were you aware that proposals for new rules were going to be discussed at the FINA WWPC? Did anyone officially contact you and aks you for your opinion / a statement regarding the new rule propositions? 4. The assignment of exclusion and penalties may be delayed (to favor the attacker). Before whistling, the referee can wait to see if the action leads to a goal. It is, in fact, a rule for advantage. 5. New rule: Limited time period (to be determined) for the center forward to stay in front of the goal, within the area of 6 meters and the two goal posts. 6. Additional area for substitution along the side lane within the respective team's half court for dynamic changes. 7. Move the direct shot line from 5 to 6 meters. The goal may be scored with (A) an immediate shot or (B) after a feint, dribbling or putting the ball in the water. 8. New rule: Introduction of a clear signal from the referee authorizing the player to shoot directly from the 6-meter line (to be applied for situations where it is unclear whether the attacker is within or outside the free throw line). 9. The goalkeeper is allowed to move and touch the ball over the half-way line. In a game's conclusion, the goalkeeper can be deployed on the attack to create a numerical superiority. 10. New rule: (A) Once in possession of the ball, the team has 10 or 15 seconds to get past the half-way line to the ball. (B) After this happens, the ball can no longer be returned behind the half-way line. 11. Each team can request 2 timeouts during the match, each lasting 1 minute. Both timeouts can be called in the same quarter. 12. Penalty can be scored from anywhere along the 6-meter line. It is allowed to move sideways, feint and put the ball on the water. The goalkeeper is allowed to move out from the goal line up to the 2-meter line. 13. Modifying rule 20.1: the rule was re-written in order to increase the number of cases to be punished by a personal foul. It shall be a personal foul to commit any of the following offences (WP 20.2 to WP 20.17) except for WP 20.2, 20.6, 20.7, 20.10, 20.12, 20.14, 20.15, 20.16. The target is to decrease in incidents of holding, grabbing, pulling and impeding situations, lowering the number of whistles and game interruptions. 14. New rule: a personal foul called against the defender on the center forward instead of an exclusion, when the center forward is not in possession of the ball. 15. The time-out button is the responsibility of the team. 16. A video game recording system (GVMS) to be used to review arbitration calls regarding brutality or any offense characterized by violence or misbehaviour post game; players can be sanctioned after the game. 17. New rule: use of audio communication tools for the referees during the match. 18. Decrease half-time break from 5 to 3 minutes. 19. Each team will consist of a maximum of 13 players + 2 substitutes in competitions such as the World League and World Cup. The roster of 13 players can be changed in every game (except in the Olympic year). 20. Using visual effects around the excluded player area, the secretary at the timekeeper's table will report the last 5 seconds of the exclusion and when the expelled player can return. Do you think that changing the rules will help water polo to be more popular and attractive among the fans? When I heard that you want to decrease the halftime break from 5 to 3 min I started to cry. Do you want us to die in the pool!? Is anyone thinking about the players!? Second thing... Did you know that the basketball field is shorter than a water polo field!? Do I have to say that they are running and we are swimming!? Handball players can play with both hands and their game balls are much smaller then ours. They are so much important things that you can change and it would have an impact on the game, and still you are trying to change some unimportant things and rules. There is space to change rules, however I believe there needs to be more done to get every day people involved in the game themselves - aka different social/fun versions of the sport, such as beach water polo. I also think more can be done in marketing big events. Media is primarily the way people will start to get engaged in watching water polo. We need to boost our social media platforms, make all games and tournaments accessible for everyone. Every country, team, club needs to be online and present with all games results and updates. The best marketing is word of mouth. If we engage social media and local pools to promote the sport we can slowly gain popularity. We need to push our local sport stations to show highlights (to promote the best part of the games) and eventually full games to engage our community. The bottom line is we need access to be watching games and if their is a pool their should be waterpolo offered at the establishment. I think waterpolo should be played during the summer, National competitions as well, it is a summer sport and in my opinion it will be more popular in each country. MARKETING!!! The problem isn't the rules we just have to market water polo the right way ,for example baseball in the US the sport itself is really boring but they mark it well they sell the experience ! Im from Egypt and we have few good teams but to bring the sport to the masses it has to get the same exposure like handball and football. And there is another big issue so I have been living in Switzerland for a year and whilst talking to Swiss and German people here I noticed that a lot of people don't know what water polo is and thats a huge problem ,and changing the rules wont solve it. Of course new technologies will be great, because spectators can enjoy the time during the match, even they don’t now all rules in water polo... for example you can play music during the game, and also speaker can explain to spectators what’s happening on the game, like it was on world championship 2017! Would be good to show spectators team/player statistics before match on the big screen. I think that water polo has to be kind of fun for the people, and they will come on the game with a joy! 1.Unified application of existing rules 2.Technically well-equipped sports pools. 3.The question what a water polo game should look like and when they should be played needs to be answered by the audience first, then by PR agencies and TV experts. Coaches and especially water polo officials should have less impact on these decisions. 1- The creation of two divisions for the world championship (A and B). This would have motivated the average national teams to meet the challenge of remaining in A or for others to rise to A. For those less successful to rank in the middle of the table and to compete with playable opponents. When we play against world-class champions we get crushed and we lose confidence. 2. The autonomous formation of independent national water polo federations - The current regulation requires a prior confirmation of the Umbrella organization, which I was not able to get in Tunisia despite attempts for more than twenty years. Mehr Werbung es bringt sich nichts die Regeln zu ändern wenn nichts von Wasserball preisgegeben wird hier in Österreich kennt keiner Wasserball und mit neuen Regeln wird es auch nimmand kennen lernen wenn es nicht durch marketings und communation efforts preis gegeben wird We need more advertisement - changing the rules without promoting water polo doesn't do anything. Here in Austria, nobody knows water polo and this won't change with old rules or new rules if the sport itself is not promoted through marketing and communications. Better International education and sports development. Better calendar planning, commercialization, and promotion of the events. Better governance in the sport internationally. Equal male and female representation at FINA. FINA employees required to have degrees in sports management and business to be qualified to make decisions. In Belgium, we have one team (Mechelen) that plays in a 25m by 12m pool and every week they have the best spectacle, technical speed - Would be interesting to see this tested. Callendar of competition, more publicity, to invite and support new processes in South America, to display water polo games in all the tv operators and to incentive countries like Serbia, Hungary, Italy, and others to leave their continent to improve water polo in other countries. The rules are only one point of promoting the game. The presenation of the sport is another key factor. So what is the reason for the idea of reducing the half-time break down to three minutes? No other serious team sport is doing this. TV stations want to sell commercials or run halftime shows, the organisers drinks at halftime. The spectators in the stadium are sometimes travelling hours to be on location. So why shall we have shorther matches in big events?